Have you ever read a brilliant novel and wondered how the author ever came up with the idea? 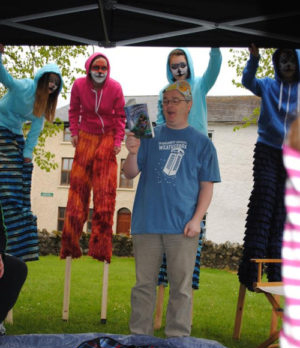 You can find out how this Sunday when the author of the children’s novels The Maloneys’ Magical Weatherbox and The Cloak of Feathers, Nigel Quinlan, presents his new show, Mad Ideas, Tall Tales: A Story About Storytelling, Fairytales and Festivals. 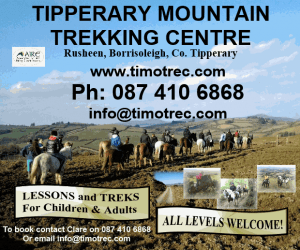 The first performance of this rousing, engaging trip through a vivid imagination is on in Cloughjordan on Sunday, 4 February at 4pm in WeCreate, Cloughjordan – it’s for all the family and it’s free! Nigel Quinlan’s new novel, The Cloak of Feathers, is getting great reviews. The Cork Evening Echo said, ’This is a book whose crazy mischief making and deadpan humour will endear it to boys and girls seeking a quirky and entertaining adventure’, and GoodReads gives it 4.5 out of 5 stars. 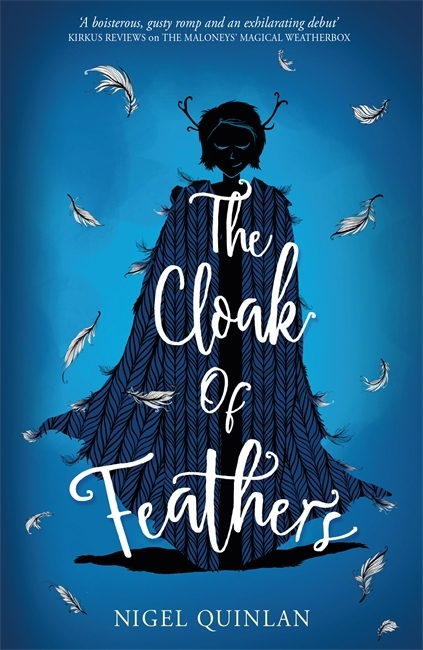 You can buy The Cloak of Feathers in any good bookshop, or get a copy at Mad Ideas, Tall Tales on Sunday 4 February and take the opportunity to have author Nigel Quinlan sign your copy with a personalised message.